Perhaps you want to be alerted when price comes back through the 70 from above, signalling a selling opportunity or perhaps you want to be alerted when price comes back through the 30 line from below, signalling a buying opportunity? Maybe you want to have the alerts set at different levels, such as being alerted when it comes back below 80 or back above 20, or 90 and 10, whatever levels you choose? That indicator exists and it provides alerts, email notifications and a decent collection of customisable options. Read more in here. 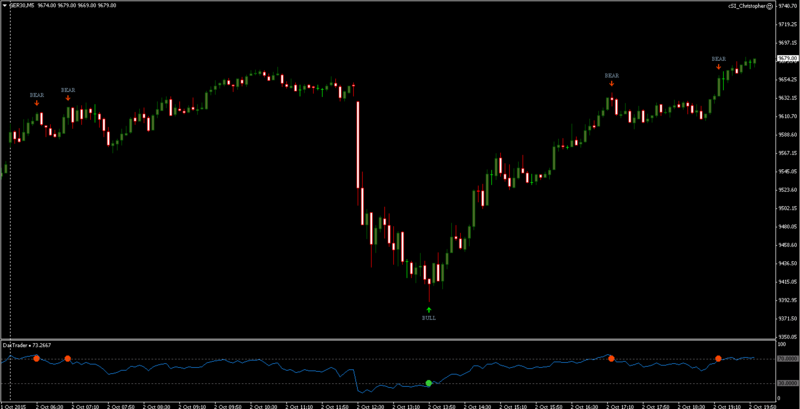 This discounted rate includes the compiled indicator file but not the MQL4 programming code. You can purchase the MQL4 from a different link, see the store. If you decide you want the code, then you do not need to buy this file. The instructions may make reference to two indicator files, but this product will only include one indicator file. 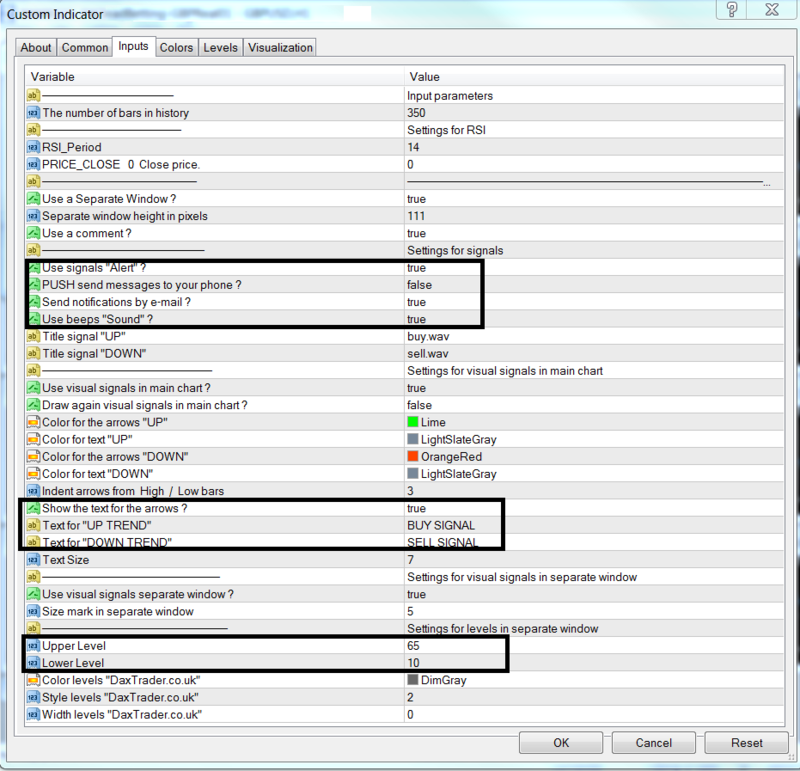 The indicator file in this purchase is compiled (ex4 file) and will work completely as a normal indicator. So please follow instructions as normal. Good luck trading with it guys, it serves me very well. All too often I find that I miss an opportunity to trade when markets reach overbought or oversold conditions. 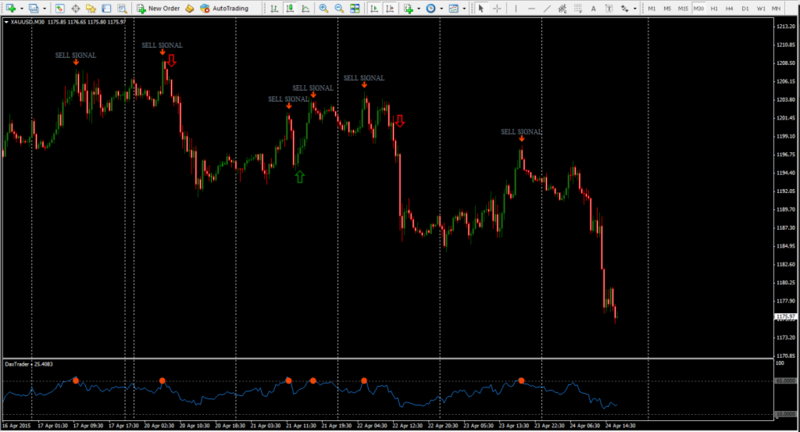 For example I come to look at a chart and I see that price reached an RSI of 90 and then quickly recovered back again. I always wondered how I could be notified when that happened, which got me to thinking about owning an indicator that could do just that. So before you read on, are you looking for an RSI indicator that alerts you when price meets certain conditions after a candle closes? Perhaps you want to be alerted when price comes back through the 70 from above, signalling a selling opportunity or perhaps you want to be alerted when price comes back through the 30 line from below, signalling a buying opportunity? Maybe you want to have the alerts set at different levels, such as being alerted when it comes back below 80 or back above 20, or 90 and 10, whatever levels you choose? Look at the picture below, because that indicator exists and it provides alerts, email notifications and a decent collection of customisable options. To find this indicator I searched for some time to find something, anything that could do this, but could not get hold of one just like this. There are plenty of free indicators out there, but I couldn’t find any that alerted me after the candle closed. So I had this one built for me and this indicator does exactly what I want. It will allow me to use it on as many charts as I like and when I customise it correctly the indicator will produce numerous high-yield signals every day. Now I would like to share the indicator with you. The indicator costs £10.00 and can be purchased here. Read on to find out more. 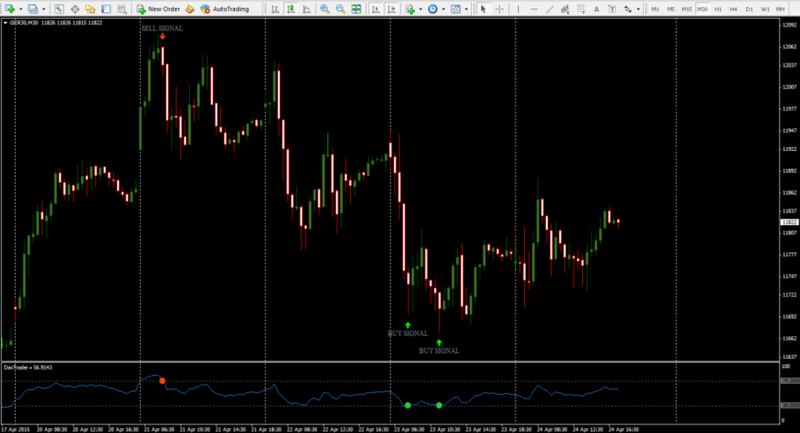 Above is a simple screenshot to provide an example of how the indicator looks on a chart. The example is a screenshot of the Dax in April 2015 on a 30 minute chart with vertical dashed lines separating the days. The RSI appears normally at the bottom and the indicator is set to the normal 70/30 level. You will see three signals (one sell signal and two buy signals). The first signal is the sell signal and this was triggered when price went up above the 70 line and then closed below the 70 line again. The signal occurred only once, on the close of the candle, signalling your potential trade. The second signal was a buy signal. 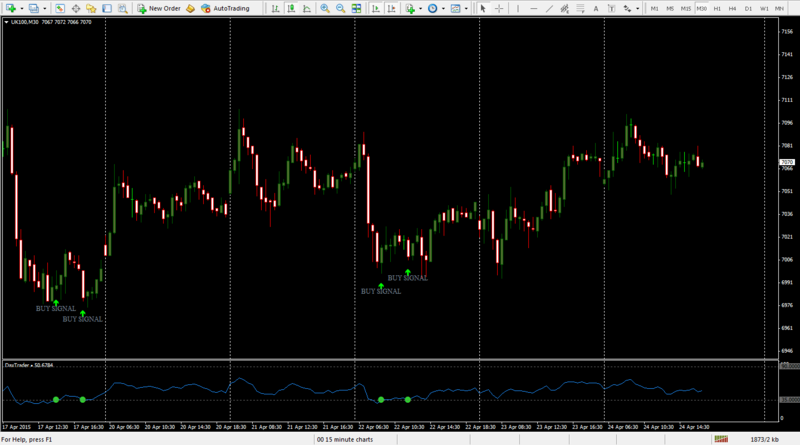 This buy signal occurred when price fell below the 30 lines and then closed above the 30 line again. I have found that the indicator works best by following trends. I believe there is little value to trading against a trend, so I would use this indicator to only buy in bullish trends and only sell in bearish trends. If the trend of the market is neutral then feel free to trade either direction. This chart below shows an example using a 90 and 35 RSI which is designed to signal buying opportunities in a bullish market. This chart below shows an example using one of my bullish templates: 65 / 10 RSI which is designed to signal selling opportunities in a bearish market. Below you will see the same 20 charts I trade and all the signals I typically generated (I am writing this article on Friday, some days generate more than others, Friday is typically a quiet day) in a week using the settings I chose for each chart. I am using conservative settings, on a 30 minute time frame, you can use whatever settings you like to either generate more or less signals. 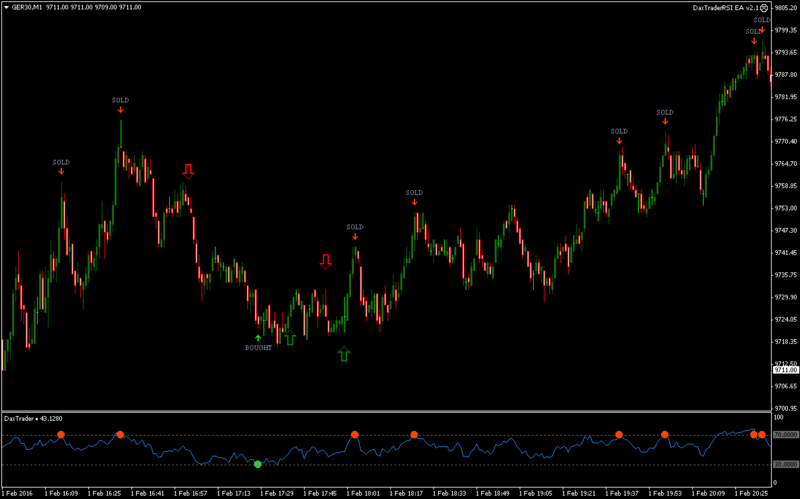 Set RSI levels to represent the underlying trend. The downloaded files include two indicator files and three template files. 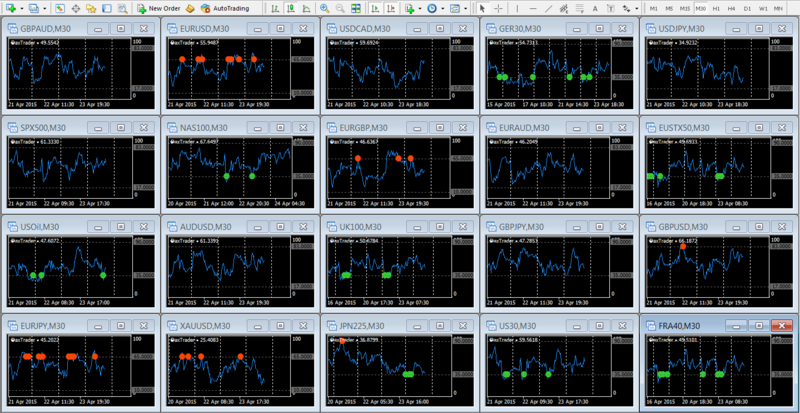 All files will need to be copied into the MetaTrader folder. There are plenty of tutorials on YouTube showing you how to do this, but as a quick guide; you need place the two indicator files into the “MQL4\Indicator” folder where you MT4 was installed. Then you need to place the three template files into the “MQL4\templates” folder. 7. Set RSI levels to represent the underlying trend. The RSI indicator has disappeared? Don’t panic, just change the time frame to something different then come back to the timeframe you originally wanted, the RSI will refresh and come back to normal. Can you make this an EA? I would imagine that it is possible yes, but unfortunately I am unable to do this, feel free to do it yourself if you wish. I don’t believe they do. The signals appear when the price meets certain RSI conditions and after the close of the candles. 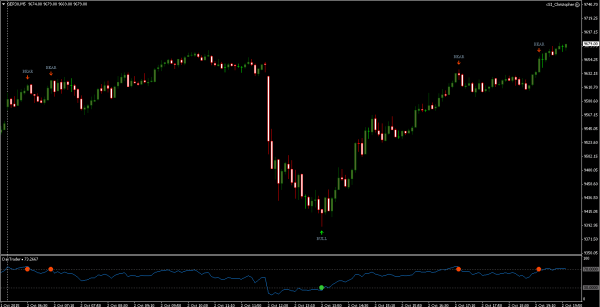 It’s just a normal RSI indicator with the customisable alerts, so the signals stay where they are.